Energetic shielding is becoming an increasingly important spiritual tool for humanity as we begin to awaken to the multi-dimensional reality beyond our physical senses. This is because the next level “above” where we currently find ourselves is heavily (but not exclusively) populated by parasitic, “dark side” entities that I call “ankle biters.” I call them this because it amuses me, it is a fairly accurate representation of their level of consciousness, and also because it makes them angry. Please read this article, “Never Call Them Archons” on the ankle biter phenomenon for a detailed introduction to this situation. That changed after I wrote the ankle biter article. Less than an hour after sending the article to my mailing list, I was inundated with a legion of ankle biters who were all quite intent on causing me any form of harm that they could. Situations like this are difficult for most people to imagine, but it was kind of like fending off a swarm of huge, angry 10 pound wasps, but slightly less deadly. I needed a shield to keep them from being able to swarm me so that I could calmly deal with them in groups of 10 or 20 at a time. I went deep within my being to the core of my Inner Divine Self and asked for the strongest shield possible. I was shown the geometry to use and received a detailed holographic instruction packet in how to combine a simple pair of geometric shapes into a very strong, durable energetic shield. The geometric shapes are a pyramid and a sphere. 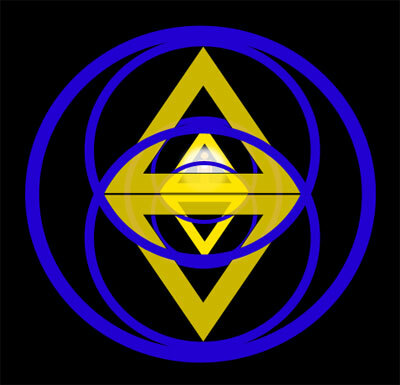 Right away, an image probably just formed in your mind of a pyramid and a sphere either inside of it or surrounding the pyramid. That’s good, as you’re already receiving the download of how this works. There are some key details that you need to know first, though. The very first thing to do before even constructing shields is to focus on the light of your Inner Divine Self, which is centered deep within your heart center in the middle of your chest. See that light emanating from deep inside of your heart growing brighter and larger until it surrounds your body in a sphere of light. 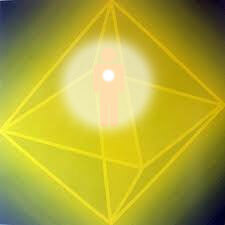 The colors of your Inner Divine Light may vary from person to person, but Golden-White is a common color. This shape is known as an Octahedron, and it is an extremely stable geometry that forms the basis of this shield. Finally, to complete our shield, we put one very large sphere around the entire thing, so that all that is visible from the outside is a deep blue sphere. This is the level 1 shield, which is a good starting point, and it may be enough for many people in certain circumstances. However, under heavy psychic attacks, we need to increase the protection. The method for doing so is very simple and only requires us to add more pyramids and spheres. 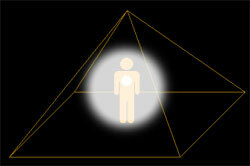 Take a moment right now to really feel and see the two pyramids and three spheres of your level 1 shield. Remember that each shape is solid and can’t be seen through, unlike the illustrations shown above as learning aids. Next, visualize a larger pair of pyramids joined at the base that is big enough to completely surround the largest sphere of your level 1 shield. It will look something like this image, but with solid walls. 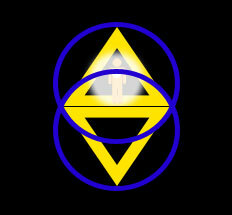 Now we have two levels of shields comprised of 4 pyramids and 6 spheres. This is a very strong shield complex that can withstand a lot of attacking energy. However, for those “serious situations” when you need strong protection, a third level of shielding is often necessary. 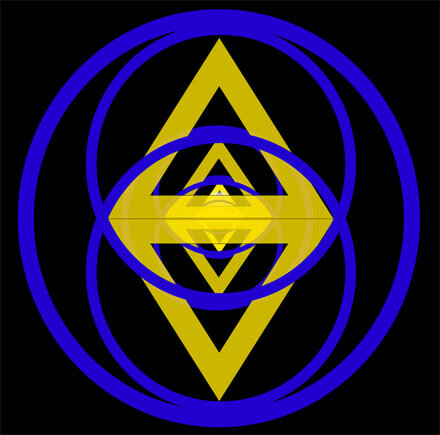 This brings our geometric totals to 3 levels of shielding comprised of 6 pyramids and 9 spheres, which is a very nice, stable, harmonic mathematical progression. This kind of shielding works very well, and it can actually work a little TOO well, so please read on. Once you are thoroughly protected within your three levels of shields, you will probably feel quite isolated from the rest of the universe. This is not a desirable state of being, so we need to connect ourselves to the core of Earth and the Galactic Core as well. This is done the same way it’s always done in the Self-Clearing System, with only minor changes. First, refocus on the light of your Divine Inner Self, centered in your heart. Then extend that light down into the core of the planet and linger there for a moment, feeling the sense of love, compassion and connection to the heart of this beautiful planet. 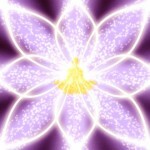 Now take a deep breath and receive Earth’s loving energetic response as a beam of golden-pink light that flows up from the Earth’s core into your body, through your heart, and let it shower out of the top of your head, surrounding your body and mingling with the light emanating from your heart. If you want to keep a low profile and not attract ankle-biters, this is a good place to pause, relax and meditate. If you’d like to amp up your Galactic connection and disrupt the ankle biter’s dark grid, which I happily encourage, go ahead and connect to the core of the Galaxy. Connecting to the Galactic Core while shielded is basically the same as if you don’t have any shields up. You simply focus on the light of your Divine Inner Self in your heart, and then send some of that light straight up through the top of your head, through your shields and into the center of the Galaxy. The Galactic Being will respond in a similar fashion as the Earth did, by sending a beam of loving, light energy back along your energy beam and into your heart center. Now that you have established connections to Earth’s core and the Galactic core, you can keep those shields up as long as you like. This will allow you to carry on with your day, even if ankle biters are trying to throw a tantrum in your vicinity. Eventually though, you *will* need to address the ankle biters and your own beliefs/attitudes/thoughts that allowed them to latch onto you in the first place. Please see the Ascension Help Self-Clearing System and the “Never Call Them Archons” blog post at AscensionHelp.com for more details on how to compassionately deal with the ankle biters. These shields do work, but they depend on YOU to stay in place. At first, you may find that you need to re-establish the shields several times per day in order to keep them up. Once you have gained experience with keeping the shields up, they will be easier to maintain, provided that you are in charge of your thoughts. This is important because low-frequency thoughts can and do short-circuit your shields, causing them to disappear. Anything along the lines of fear, judgment, anger, blame, criticism, victimization, hatred and even righteous indignation can cause your shields to short-circuit. The good news is that as soon as you catch yourself in such a thought pattern, you can simply set those thoughts aside, rebuild your shields, reconnect to the Earth and Galactic cores, then proceed to work on transmuting the thoughts, beliefs, etc that caused the shield drop in the first place. Again, see the Self-Clearing system for tools to transmute limiting thoughts, beliefs, etc. Does This Come in a Different Size? You may have noticed that the full three level shield complex is very large, which is great for when you are at home, but is a bit too large to walk around town with. The solution to this is to shrink all 3 of the shields down to smaller sizes so that level 1 is around your heart center, level 2 spans from the top of your head to the base of your spine, and level 3 surrounds your whole body. This allows you to be well-shielded and mobile. Also, there will be times where you want to connect with a person on a deeper level without any shields or any other barriers getting in the way. You can either just drop the shields, or you can expand them all in size so that the inner shield set is as big as the level 3 outer shield. This brings the person into your shielded zone with you and allows you to connect more deeply than you can with the shields in between you both. Another option is to keep the large outer level 3 shield up and just drop the two inner shields. This concludes today’s lesson in Shielding 101. Your homework is simply to use these shields when you feel a need to keep ankle biters or the various thought-forms of the world out of your sphere of consciousness. Just remember to stay connected to the Earth & Galactic cores, or it will feel very lonely and isolated inside all those shields. We are meant to connect to each other from the heart, so be sure to let people in when the time is right. Finally, all the shielding in the world won’t stop limiting thoughts from surfacing, nor should it! Just be vigilant and address those thoughts when they arise, gently and with plenty of self-forgiveness. Thank you, Cameron! Another tool in my tool belt! It’s been *so* intense lately; this will really help with stuff that’s coming up! Id love to have some peace of mind allready:-) !It is really important that ALL the humanity get the tools…Is surrfacing in sight at all? The same type of attacks happened to me after reading your article about those parasitic beings…. In the past 3 days (during full moon), I had to deal with them and they were really bad… I was aware of what they were trying to do, and felt tired after a while of self-protecting mySelf. With your article and teachings, I AM with my Self … fully protected and connected. This technique is sooooo powerful. As usual your article come to me (us) just in time. For me, this article applies to some of the humans around me too. So, I have been using this tool constantly. Something that I have noticed and is very obvious to me is this. When I am using this tool, the humans that are attempting to harm me are getting very upset and in some cases downright ‘crazy’. They clearly are not liking the fact that their destructive intentions are not htting their intended target. Compared to the days before this tool came to me, I was feeling drained and very un-safe. Now, I am happy and joyful and energized and full of a feeling of well-being. So, thank you for this tool, I deeply appreciate this. Your powerful tools and masterful teachings have given me hope,and power and insight to keep going. Your latest article was crystal clear in the details, anyone can easily follow. It came the next day after I told the Universe,”you have 1 month to show me something better than this or I’m checking out. I won’t continue to be a buffet!” Then I felt like you responded when I awoke to your article and new powerful tools! I am so very grateful for you CAMERON DAY! I would have given up long ago if I hadn’t found you. So now every day and night I do the COSMIC FLUSH and proclaim I AM A GALCTIC CONDUIT! I work on Cameron Day’s team,glad to serve! I won’t stop til we dismantle the dark grid over my house and this beautiful earth! Hi Cameron, what specifically did these ankle biters do to you after publishing your article? I’m curious. It seems that for the last couple of years, I have inundated with the bad behavior of people, I loved and thought I knew well, who suddenly turned into high-drama queens. It also seems that these drama queens are unknowingly being manipulated into behaving badly in order to feed some sort of negative entity. I admit to feeling overwhelmed with negative energy in the face of their ego-driven dramas, but I also want to rise above it. I’ve loved these people and am not sure how to respond other than simply let go. But that is difficult. Yes, letting those people fall out of your life is going to be your best option. It’s almost impossible to change a person who wants to remain the same. everybody start making orgone! they hate it and cant be around it. start learning how to make holy handgrenades and “gifting” them to those big cell towers that are around. You think we really need that many cell towers? those towers are part of their dumbing us down techniques they have for us, lowering our frequencies ! do a google search on how to make orgone. its simple and will keep those reptilians and all other negative entities away. Thier is also something called a “succor punch” which is a crystal with a coil around it powered by a 9 volt battery that you can carry with you and also to clear your home. these are4 very powerful tools and they do work.go to http://www.educate-yourself.org and look for the article on orgone its a great site with a lot of information. read about the cell towers the succor punch etc.http://www.whale.to/b/orgonite.html and http://www.educate-yourself.org/dc/spindex.shtml and http://www.educate-yourself.org/dc/orgonegenindex.shtml you can also get a cloudbuster which helps clear the skies of chemtrails which are another way of spraying nano particles of metals into the atmosphere to slowly poison us and in conjunction with the cell phone towers being used to send out a low frequency to dumb us down like zombies! No joke do research and see what im saying is true! 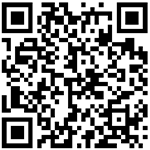 go to http://educate-yourself.org/cn/chembustersexplained24feb03.shtml lets all do this and you will see the changes. I have a succor punch in my pocket and 1 in home I have made orgone generators for myself and have gifted “holy hand grenades”(which are orgone generators that are gifted/buried around those cell phone towers to take away the effects of the emf’s their sending to us. I am in the process of making a chembuster. Just a quick cautionary note about some of the orgone generating devices being promoted on the net: Not all of them work perfectly, and some of them can create a build up of “dead” orgone. Someone gave me a “holy hand grenade” years ago, and I found it to be more trouble than benefit. So do a lot of research, and stick to tested designs. heres some info on the frequencies that have been hidden from us http://www.youtube.com/watch?v=9oSePXRbW9o heres another site on how to make orgone http://www.orgoneblasters.com/make-your-own.htm heres a site where you can download for free the fibonacci frequencies http://web.me.com/co_creation/Many_of_ONE_-_Vibrations/Freq,_Raise_Vibrations.html and for all of you who dont have the time or patience to make them you can go to http://www.orgonecrystals.com/store/ and purchase all of the above we spoke about.Do your research and see how we can defeat these reptilians and all negative entities from our planet. These negative beings hate orgone it is too good for them to be around! Are we ever going to get through this? The shield won’t feel so lonely or heavy when you’re fully connected. I said unless I get help I am out of here one way or another. Just couldn’t take any more. You know? Hang in there! Make sure you’re shielded before going to sleep and focus on going deeply into your Divine Inner Self so that your dreams are yours, and not manipulated by outside sources. who taught you?does it work? Wow ! When I joined in the eclipse grid reboot I had a pyramid appear over me then thonk below me, I hadn’t read this page then so the affirmation is huge for me, thankyou v much. “Right away, an image probably just formed in your mind of a pyramid and a sphere either inside of it or surrounding the pyramid. That’s good, as you’re already receiving the download” LOL True! I appreciated your descriptions of both the behaviors and visuals. I am wondering if you also notice any light beings helping those people who are being attacked or instigated. I’ve heard a major clearing of the Archon grid is happening at this time. Have you noticed any relief or reduction in ankle biter activity? 1) Once this shield was up I had a lot of trouble reaching my guides…. It sounds like you’re missing the critical aspects of staying connected to the Galactic Core and the core of planet Earth while shielded in this way. If you forget to keep that energy running through the shield and yourself, you will feel TOTALLY cut off from everything, as mentioned in the article. This is a *serious* shield for dealing with serious situations. Most of the time, I don’t use any shielding. I simply use the light energy from the galactic core as a buffer against the ankle biters. So stay with the Cosmic Flush and only use this shield when circumstances require it. Just to be clear, I get my guidance from deep within: My Higher / Divine Inner Self. I don’t rely on external guides, although I do communicate with 4th and 5th Density Service to Others beings much as I would with peers in 3D. I am concerned too about the structure of the spheres interlocking at the core of each other as the visica pisces structure- i’ve read in many sources during the years that this structure is actually not a native shape and was introduced relative late here and that it is an harmful shape- i recall only Lisa Renee and George Kavasillas talking about this right now,but can you elaborate on this a bit? You can just put a single sphere outside the octahedron. The 3d Vesica Pisces formed with two interlocking spheres is simply a geometric structure. It isn’t bad, it isn’t good. It just IS. The being using it determines the effect it will have. Just like a kitchen knife can chop your food when cooking (good), it can be used as a weapon to hurt an innocent person (bad), or fend off a home invader (good for you, bad for him). As for George K, a couple years ago I watched one of his videos, and I recall he said we would all have exited 3D through portals to the “5th dimension” by this time, and that 3d earth would disappear by March 2013. Not happening. Hi Cameron! thanks so much for the tools and good advice. up until now i said to myself “God is protecting me” how can i protect myself from the ones who gave me this mind? ect, but frankly the more aware and light i became, i started to feel depressed, attacked by my surroundings and “misfortunes” and my mind and emotional body went crazy- i was unable to help myself and stop looping thoughts, obsessions, my will became non existent and forgetting all the time that i am in control and i choose what to feel and think, i felt totally possessed and could not find the reason for it.it is very painful after you are on the path for such a long time and have tools already and healed so much, to be in such position.Now i understand i must protect myself, specially when you see how clever is the structure of the matrix to extract the kife force within us. Again -thank you very much! I sat on (and listened to your free 20 minute sample) for several months before ordering your entrainment program and to be honest with you it was your very informative emails which actually convinced me that experiencing your program was what I wanted to do. In recent months I have begun to integrate with Lisa Renee and your very thought provoking information. A couple years ago Bill Kirkland of AcsensionEnergyProgram.com told me that those of us on their program would be among the most spiritally evolved on the planet. I don’t know about that but I am certainly in a much different place that where I was two years ago. Keep up your work and I will be growing with you. Q&A + The Final Act of the Ankle-Biters – from Cameron Day | 2012: What's the 'real' truth? The caution I feel about connecting to the galactic core etc is that some say that the whole material universe is a counterfeit and a trap for pure spirit. In such a case drawing energy from it/opening up to it is likely to leave us more enmeshed and deluded than before. Others say that the idea of a large physical universe whereby the earth is a tiny part of it is actually a deception. In such a case then focusing on an apparent galactic core only strengthens such a deception. Why not just tune into our own divine natures? Why do we have to risk linking with outside forces which maybe not what they seem? Tuning into your Higher / Divine Inner Self is always the first step. 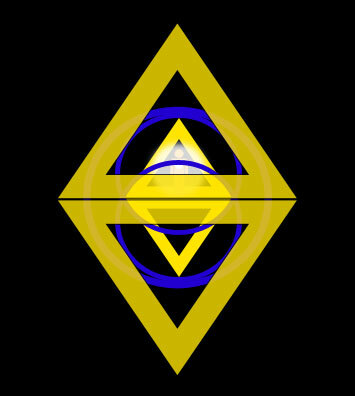 The galactic core and earth core connection are for energy boosting and deeper connection to positive intelligent forces. But if you’re not comfortable with it, then leave that out. I disagree with theories that the entire material universe is a trap. See my post on “Soulless Beings In Human Society” for a bit on how I view the nature of densities, physicality, etc. Hello all.Im here to advise you all that or gone does not offer protection from reptilian entity controlled people.I know this because I know many….all the orgone does is give the entities something to feed off instead of feeding off you.Its like bringing a bag of food with you to a party instead of eating yours they eat the or gone……Beware of all people,not just people on television.They are everywhere,your friends,your kids partners,the school principal.Get your camera’s out and be prepared for a major wake up…..I did.. I have tried many shields over many years and this is the only one that has helped. I have had so many, many psychic attacks and I finally said; if the other side wants me to continue as a light being, these attaches need to stop – I can’t be using my energy battling them. Within a few weeks, I was led to Cameron’s site. I use three layers of this shield twice a day, especially before bedtime. I added a deep indigo sphere around my head because that is where the major disturbances have been. I am very thankful I found his site. I also am thankful for the Cosmic Flush. I use Level 1 – Part 1 and 2 of Self Clearing System then “Revoking Agreements” in Cameron’s “…Lords of Karma …” twice a day. I think Channelings are dangerous. I don’t trust anyone that calls themselves a Saint or Lord. I feel most of these channelings are just trying to confuse us light beings. Many of you are making hard work for yourself. Everything about your life is yours, created by you with the help of friends & loved ones (unwittingly or otherwise.) If you don’t want something get rid of it & stop wondering if you have been successful or not. LET IT GO. When I first heard we could protect ourself, over 40yrs ago, I began practising to make this a part of who I am & my life. We had a long driveway to the property & I would start there. I would place protection around that, then the body of the property, the house, around each room, around each child & my husband & self. Some don’t like that I say `Practice’ but that’s what we do when we become sick, miserable, happy, healthy wealthy etc. We chose words / emotion & dwell on it. Like a baby learning to walk one step leads to another and soon it becomes part of who you are & your life. Ask believing you will receive & it will be given unto you. With some of you here, your problem is you have made a martyr of yourself, getting a kick out of being attacked, like it in some way makes you stand out as special. Don’t take that as a condemnation just recognize what you are doing. Heck I recall a time when (I now laugh) & say I should have gotten an Oscar for my martyr role. If building a pyramid takes your fancy do it but for me If I needed reinforcement I would simply say something like “I call upon a 1000x more protection than I have ever called upon before to surround me…..
We are all the same but different, what suits one doesn’t suit another. We walk different paths to reach the same place. When you are hit with a problem that’s life saying take a detour down another road, the scenery is different. In other words, & look at things from a different perspective. Thats why we dont see life as others do. Cameron, is is shield safe to use if you currently have ankle biters attached to your field or would you just be locking them in, so to speak? I most certtainly will highly recommend this blog!